Skype and Windows Live are two popular messaging clients for Windows, offering some interesting features and services. While Skype offers instant messaging, voice chat and video chat – as well as the opportunity to make phone calls to landlines and mobile with prepaid credit – Windows Live offers the same services without the phone element. They’re two very similar applications that can be used as collaboration tools. Ultimately, of course, these two chat clients share little else, and certainly not data. Instead, the only real similarity between the chat clients is that they can both offer similar features, can be extended with add-ins and utilize the same peripheral hardware. The compatibility of popular chat networks and their client software isn’t usually an issue. With different names and different target audience, they are clearly different clients with different networks, so any dovetailing of their services wouldn’t normally be expected. However there is precedence – compatibility exists between Windows Live and some other services such as AIM and Yahoo Messenger. Sadly no such compatibility for Skype and Windows Live Messenger, nor does there seem to be anything planned to change this. This is unfortunate – both tools are popular collaboration tools for developing projects with contacts spread anywhere across the globe. Anyone working from home would have difficulty in getting through the week without resorting to one or both of these chat clients at least once, and with the ability to send files through the client it is easy to read and talk about whatever project you’re working on. While both chat networks are completely disparate, they’re both supported by a passionate user-base. Various add-ins are available for both clients that can enhance their functionality and make them more fun to use; for instance Windows Live Messenger can be configured to display the current track in Windows Media Player. For instance, both apps can be extended to feature social networking services (a vast selection of Skype Extras is available while www.msgstuff.com provides an add-in and support for extension scripts) and both support some cool stuff like displaying what track you’re currently listening to or the ability to record conversations or video feeds. 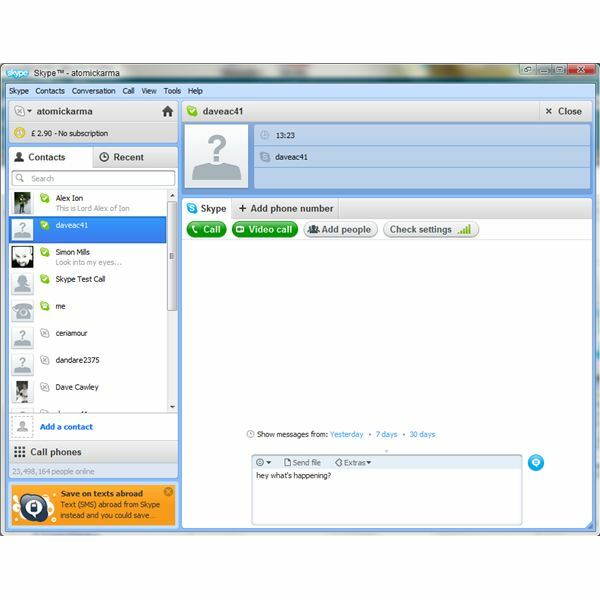 Various peripheral hardware is available for Windows Live Messenger and Skype, most notably specialist headsets and webcams designed to make the voice and video chat experience a pleasurable one. Naturally as these items are connected to your PC, you will find that they can be used with either chat client. 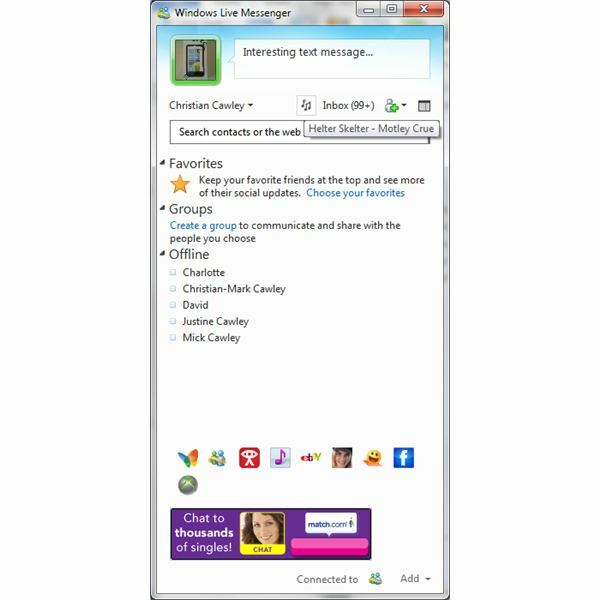 Regardless of whether your webcam or handset has a Skype label on it or is packaged in a box with Skype printed on it, you will still be able to use it with Windows Live Messenger. Any differences would occur on the network side of things – for instance, on any given day Skype might be more optimized for voice chat while Windows Live might produce a better video picture.